​Wolves boss Nuno Espirito Santo has insisted that his side will wait until the summer to make Raul Jimenez’s move to Molineux permanent. The Mexican forward has been a key figure under Nuno in leading Wolves’ impressive charge in the Premier League following their promotion from the Championship last term, providing a consistent focal point in attack since arriving on loan from Benfica. Wolves XI vs. Leicester: Rui Patrício; Bennett, Coady, Dendoncker; Jonny, Saïss, Rúben Neves, Vinagre; Moutinho; Raúl Jiménez, Diogo Jota. Leicester XI vs. Wolves: Schmeichel; Simpson, Morgan, Maguire, Chilwell; Mendy, Ndidi; Ricardo Pereira, Gray, Barnes; Vardy. ​Wolves are said to be willing to pay £30m to make Jimenez’s signing permanent. 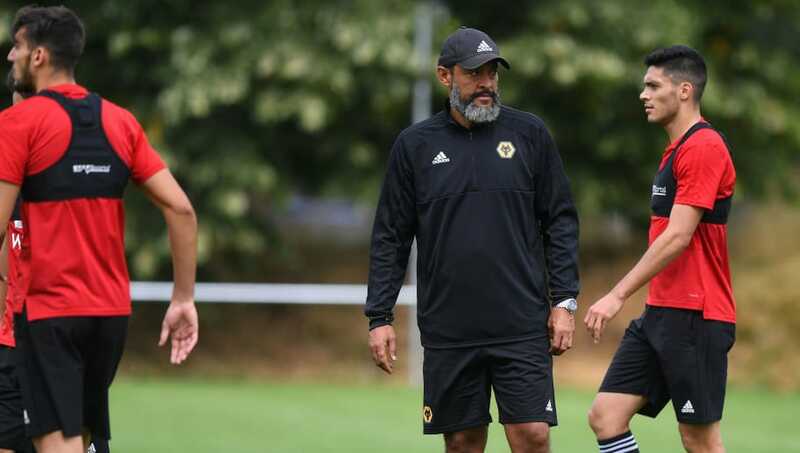 However, admitting that his side will wait until the summer to do the deal, via the ​Mirror, Nuno said: “This is a normal course of things, we have to make the decision at the end of the season. Jimenez has scored eight goals for his side and has featured in all of Wolves’ Premier League games this season. The 27-year-old recently opened the scoring for his side as Wolves completed a stunning upset to beat ​Liverpool 2-1 in the FA Cup, eliminating the Premier League leaders in the third round. The Mexican also struck as Wolves stunned ​Tottenham with a 1-3 league victory at Wembley last month, as Jimenez fired his side ahead late in the game to further enhance his reputation as a big game player for Nuno’s side.